I thought I’d just briefly introduce a Japanified version of a British great. 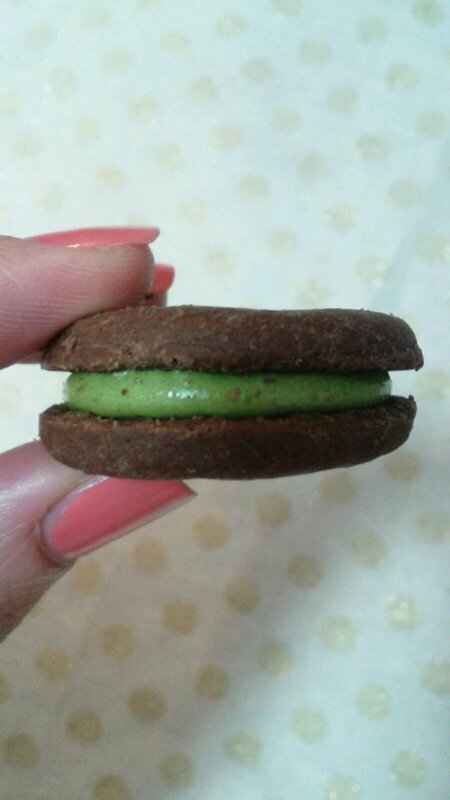 Two mini chocolate flavoured digestive-like biscuits encase a dollop of green tea flavoured icing. 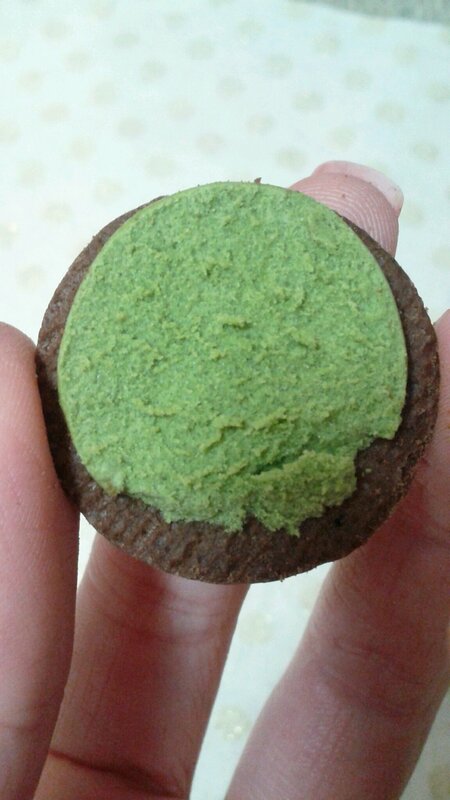 Not too sweet, and with just a hint of the taste of bitter green tea, it is a match made in heaven. 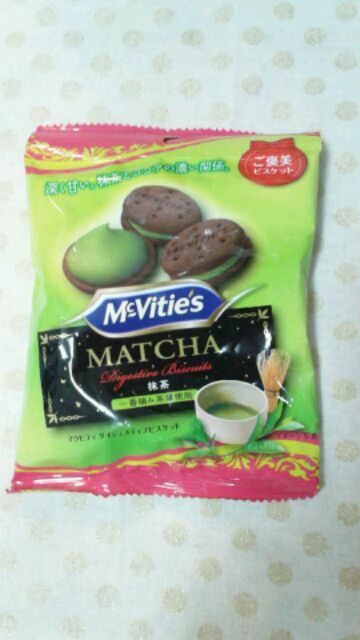 If you like green tea flavoured treats as much as I do, you will certainly like these. 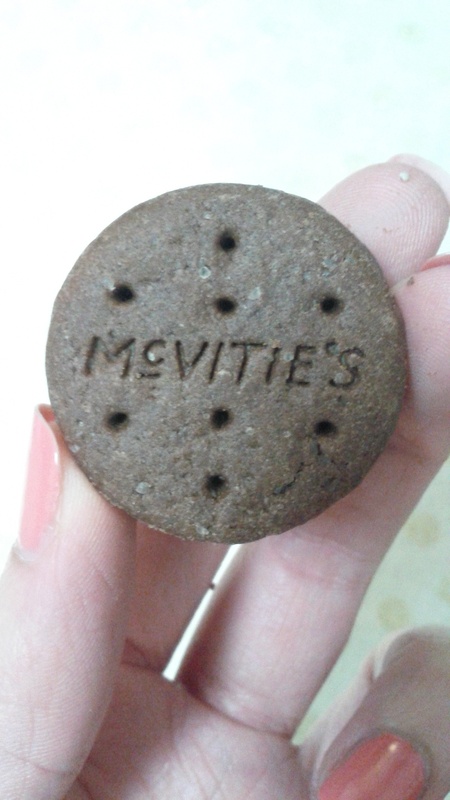 They come in very cute little snack packs, and are lovely with a cuppa. You can eat them as they are, Oreo-style by pulling them apart and going for the icing first, or I imagine you can probably dunk them as well. I wonder if these would be popular in the UK? 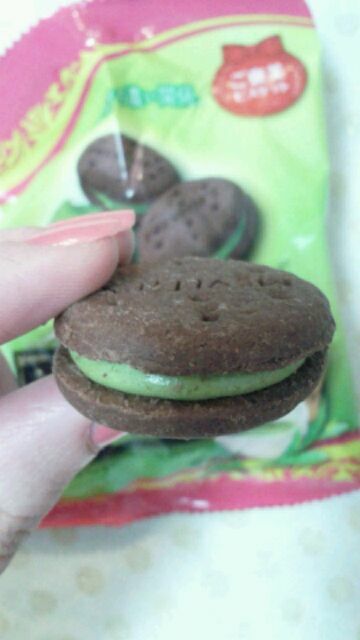 I really want to eat this one!